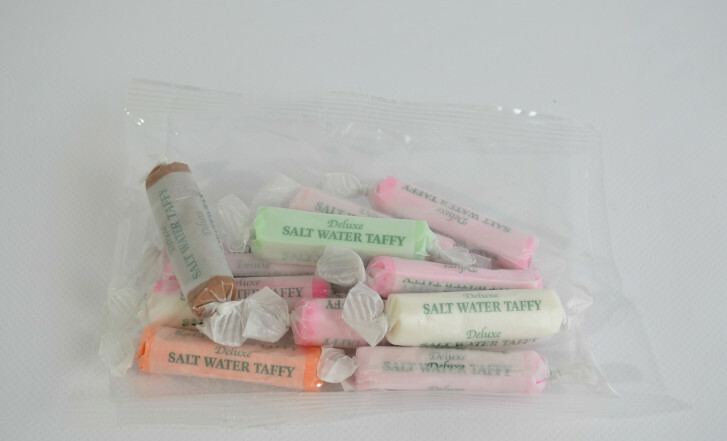 Our gourmet taffy is now available bagged and ready for your shelves. 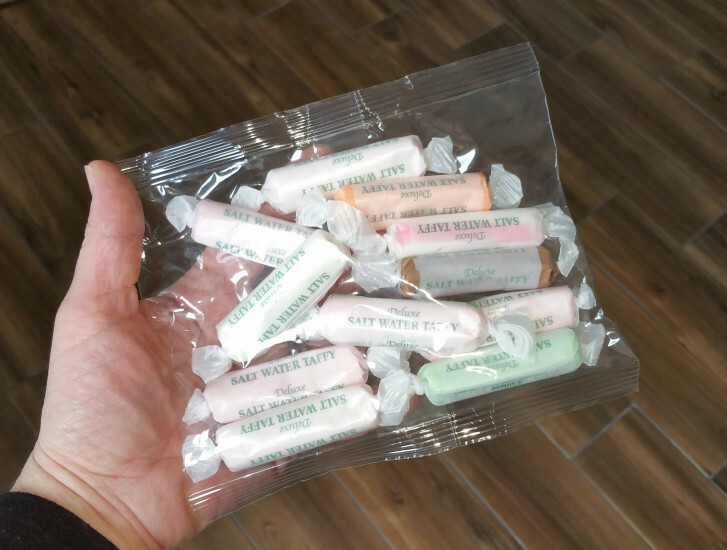 The 5 ounce bag contains approximately 12 pieces of long "stick" taffy. Bags measure approx 6.25" x 5.25" and have a simple tear tab. Case pack of 40 bags per. Great to fill your own packaging or sell on their own. Contact your sales rep for pricing on custom labels that we can create in-house and adhere to the bag, making this product your own!